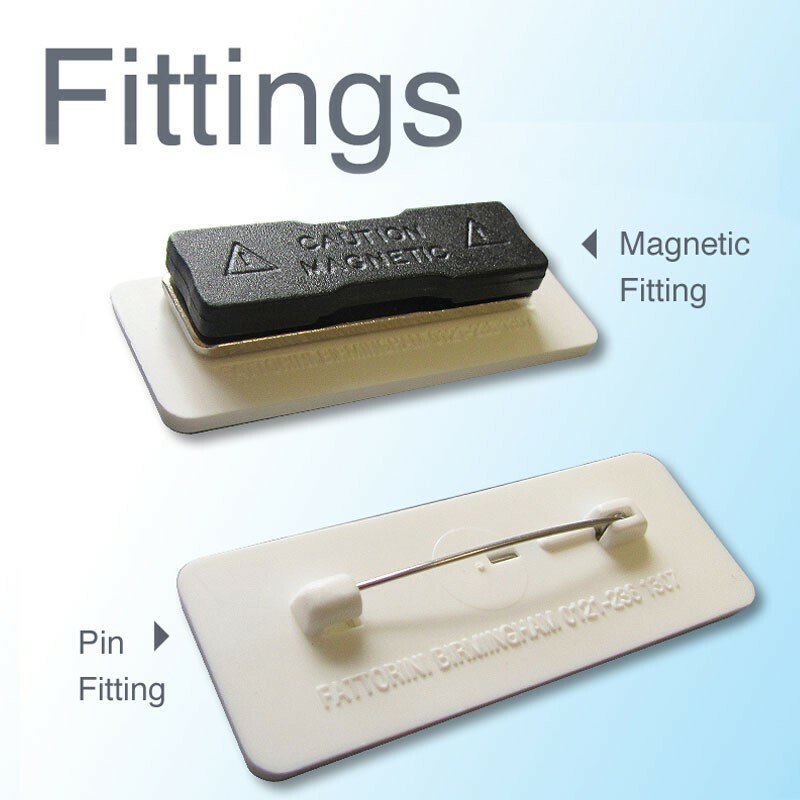 72x22mm badge, 1 line personalisation - in various colour combinations. 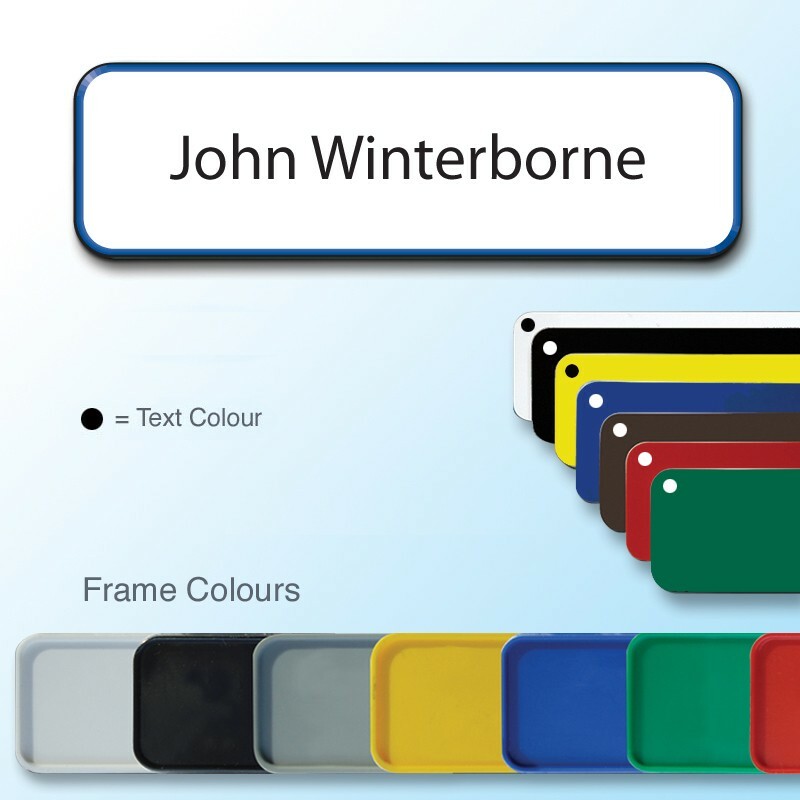 72 x 22mm smart personalised namebadge in a coloured frame of your choice. • Available with either a pin (built into the frame) or an applied magnet fitting. 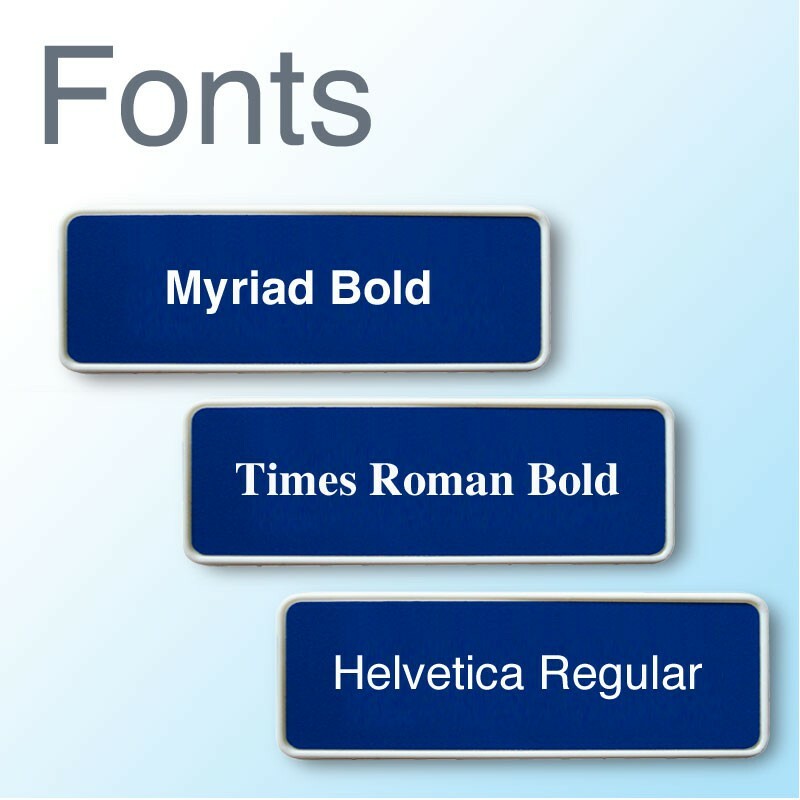 • Choice of fonts for personalisation; Myriad Bold, Times Roman Bold and Helvetica.